Dark circles under eyes or periocular hyperpigmentation is a common cosmetic concern, especially in females. Other than the above, the pigmentary demarcation line can occur due to thin and lax skin, pronounced tear trough, post-inflammatory hyperpigmentation due to continuous rubbing of eyes in allergic conjunctivitis and atopic dermatitis and lack of adequate sleep, stress, etc. Shadows due to bulging contour of the lower eyelid. Blood vessel - bluish color secondary to the venous network situated under the skin or reddish color due to visible dermal capillary networks. Pigment - brown color secondary to superficial epidermal melanin (pigment synthesized by melanocytes responsible for color) and blue color secondary to dermal melanin. Decrease the leakage through capillaries and strengthen the capillaries. Increase the blood flow to help clearing of oxidized hemoglobin. Hydrate the skin in order to prevent wrinkling. Anti-inflammatory agents to decrease the puffiness of the eyes. Increase thickness of skin and increase collagen and elastin to reduce wrinkling around the eyes. Chemical peels act through exfoliation, abrasion and shedding of the superficial skin cells followed by remodeling without scarring. 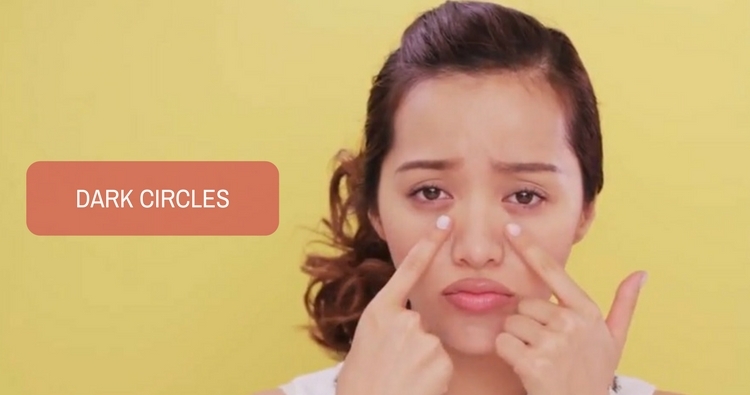 The most frequently used peels for dark circles are Arginine and Lactic acid peels. Argipeel is one of the readily available combination peels for dark circles. It contains Arginine (20%), Lactic acid (20%), Aloe vera (1%) and Allantoin (0.5%). Other peels like Glycolic acid (15 to 20%) with Kojic acid also give good results. Counseling and post peel maintenance are very important in treating dark circles with a chemical peel. We may not get much satisfactory results as per the expectation of the patient, but combination of treatment modalities and lifestyle modification gives good results. Q-switched ruby laser (QSRL) and ablative CO2 laser resurfacing can be used, but chance of post-inflammatory hyperpigmentation (PIH) is much more with a laser. Q-switched ruby laser and topical bleaching agents with Retinoic acid and Hydroquinone are considered effective for dark circles with low incidence of PIH. Dark circles are a complex and challenging skin condition for both the dermatologist and the patient. The management is always a cocktail of treatments with consideration that shadowing and vascular effect are dealt with separately depending on the causes of dark circles. Do you have a question on Lack Of Sleep or Chemical Peels? How to treat dark circles around the eyes? What homeopathic treatment can be done for dark circles around eyes?